With Bieber fever reaching fever pitch in Australia due his tour, the Canadian star has announced ‘Purpose’ pop-ups for Sydney and Melbourne. 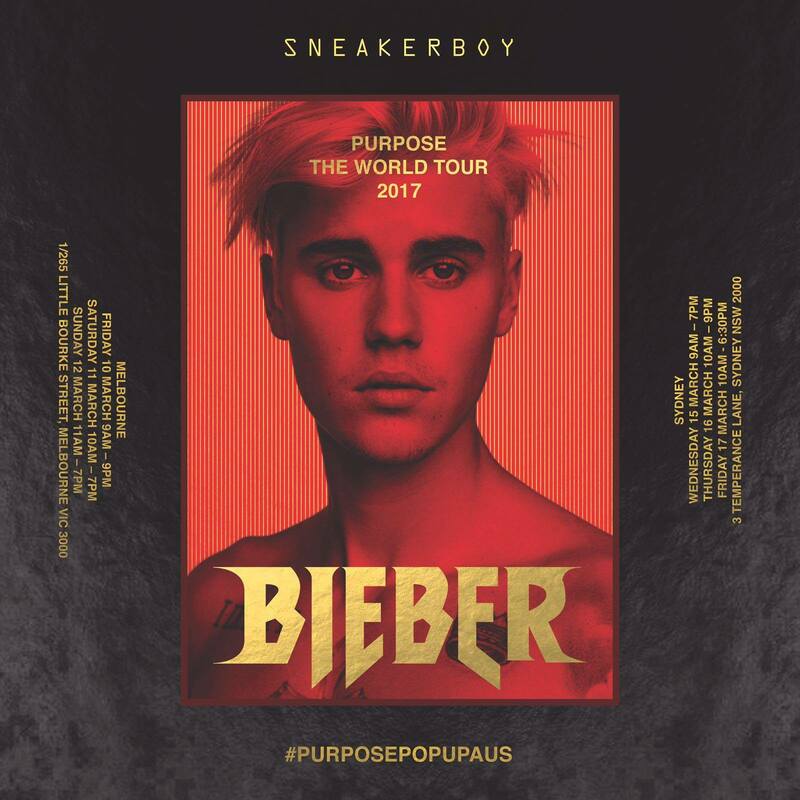 Melbourne is the first cab off the rank; the store at 1/265 Little Bourke Street in the CBD will house a selection of Justin Bieber merchandise, perfect for a visit ahead of his show at the city’s Etihad Stadium tomorrow night. The store will be open from 9am to 9pm tomorrow, 10am ’til 7pm on Saturday and 11am ’til 7pm on Sunday before it shuts up shop and heads to Sydney. Co-inciding with Justin’s show at ANZ Stadium on March 15, the Sydney pop-up will operate out of 3 Temperance Lane in the CBD. It’s open from 9am to 7pm on Wednesday March 15, 10am ’til 9pm on Thursday March 16 and from 10am ’til 6:30pm on Friday March 17.